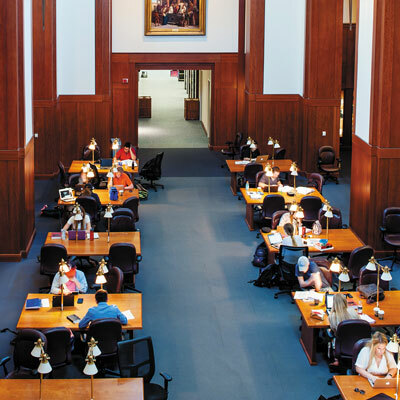 A library has always been at the heart of the University of Virginia. When Thomas Jefferson designed his Academical Village, he placed a library—rather than a church, which was the practice at the time—in the center. Housed in the Rotunda, that collection grew from 8,000 books at its founding to 56,733 before the 1895 fire gutted it by more than two-thirds. It was a major intellectual loss to the University. It wasn’t until the mid-20th century that the UVA Library rebuilt its collection, eventually moving across the street from the restored Rotunda to Alderman Library in 1938. Housed within it was the Tracy W. McGregor Library, a special collections archive that put UVA on the map as a research library. Today the library encompasses nearly 8 million books and other media spread across 14 libraries. 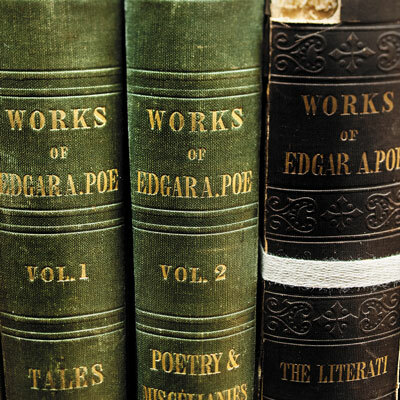 The McGregor collection moved to become part of the manuscripts, rare books and artifacts in the nearby Albert and Shirley Small Special Collections Library. The room in Alderman that once housed it, now known affectionately as the “Harry Potter Room,” serves as a quiet reading and study space for students. The windows, once shuttered to protect delicate artifacts, now let in sunlight, along with a view of camellia blossoms. 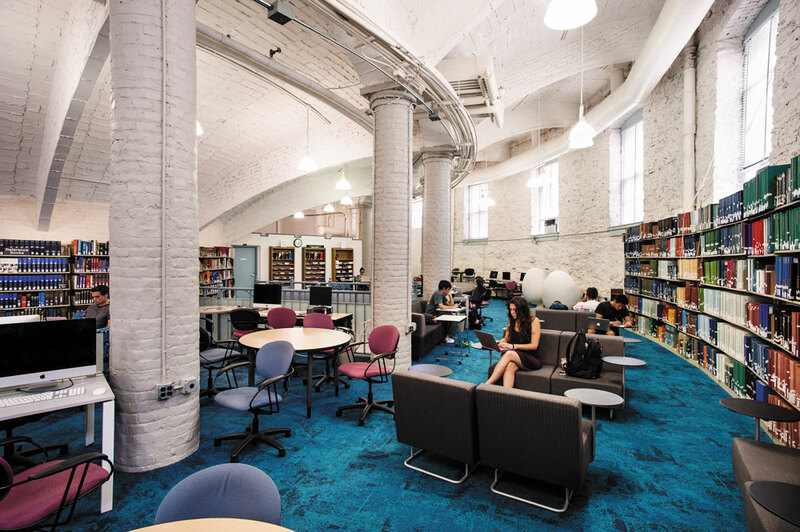 These moves—from the Rotunda to Alderman in 1938 and the repurposing of the McGregor Room—show how spaces have shifted within the libraries as student use of the collections has changed. And it will continue to change. The circulation of printed materials has steadily declined in the past few decades, while the use of electronic resources has soared, matching trends at libraries across the country. UVA Library’s collection of online digital materials, now at more than 22 million items, continues to grow. 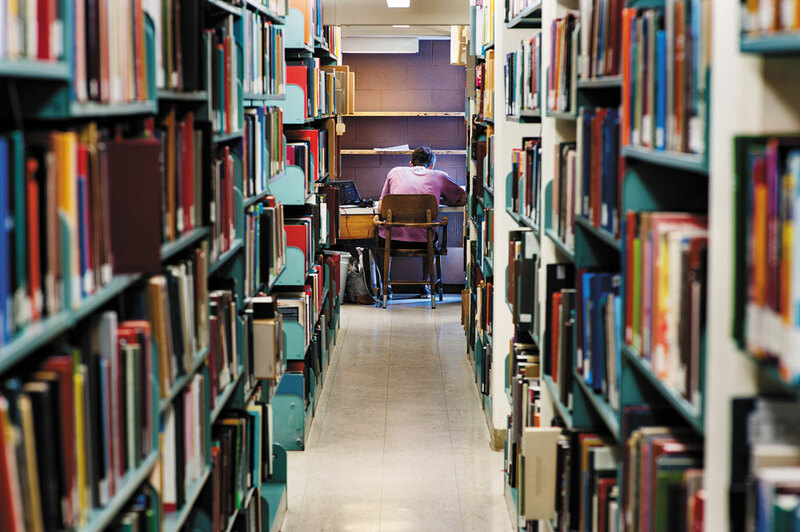 In surveys, the majority of faculty and graduate students report that they use physical and electronic materials from the library weekly, while the majority of undergraduates say they use those materials only occasionally. 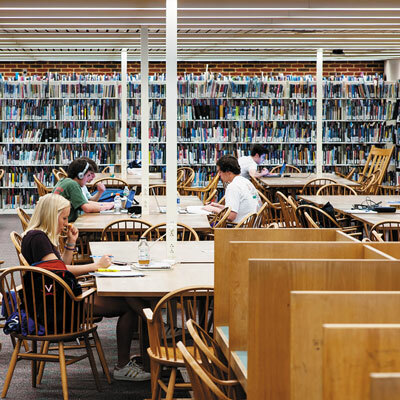 However, undergraduates physically visit the libraries far more frequently than any other group and rely on them as their central places to study and focus. 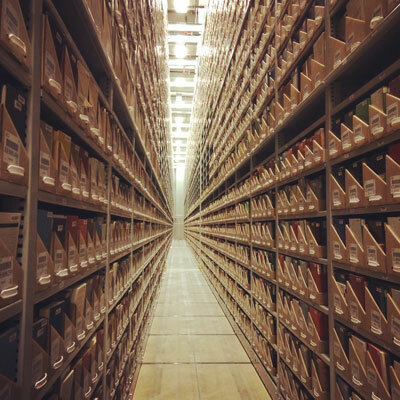 As the library administration looks to the future, it will seek to balance these needs—keeping materials accessible while expanding study and digital spaces. 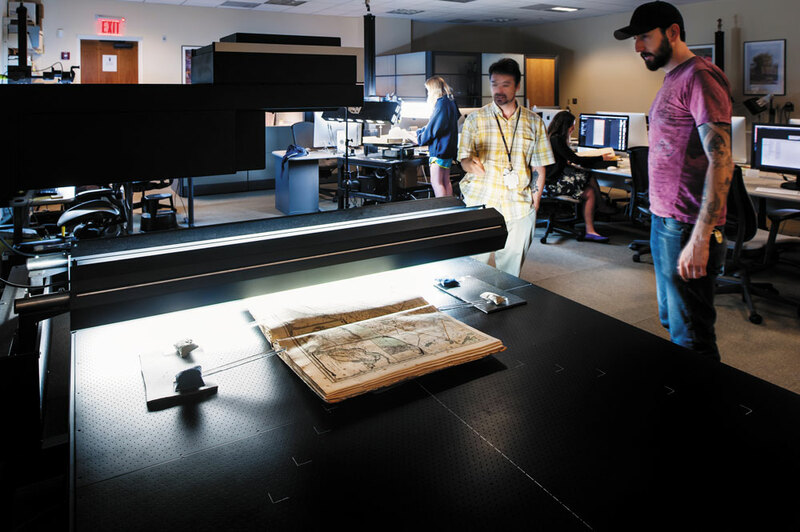 The digital production team at the Special Collections Library uses a large-format scanner in the library’s digital lab. 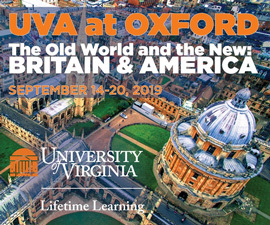 The director of UVA’s Institute for Advanced Technology in the Humanities (IATH) from 1993 to 2003, Unsworth has been an advocate for the digital humanities—a scholarly field that brings together humanities disciplines with computing and collaborative research—and the open sharing of information throughout his career. One of his goals as University Librarian is to work with other libraries to build what he calls “research sharing consortiums,” making information free and accessible online. 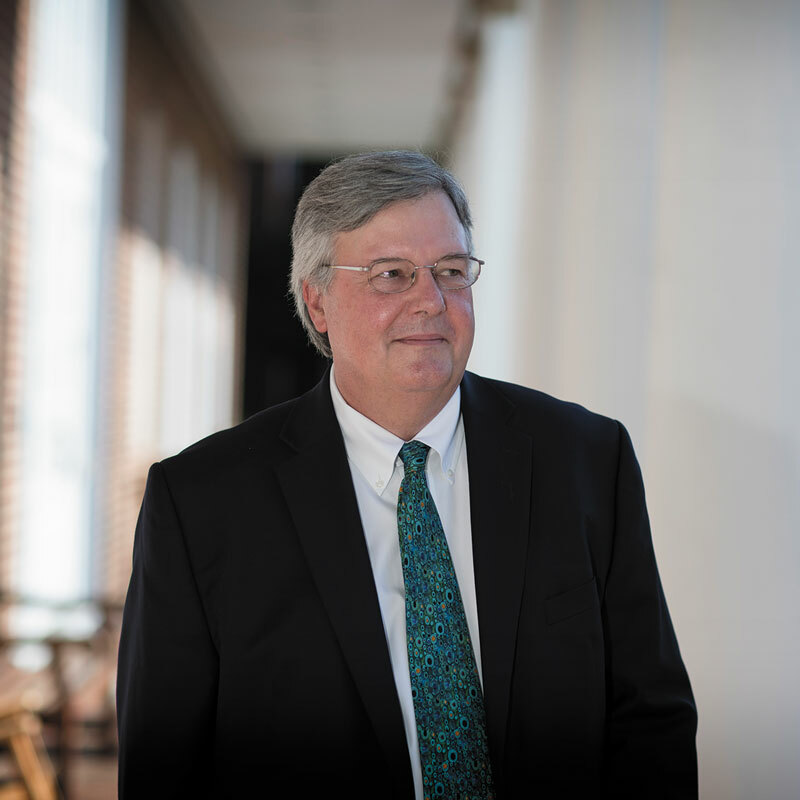 When he returned to UVA in 2016, Unsworth brought several such projects with him, including one that grants online access to 4 billion pages of materials from the country’s major research libraries. “There are interesting, important things that libraries can do collectively that no one library can do alone,” he says. SOURCE: UVA Library. All data is from the academic year 2015–16. 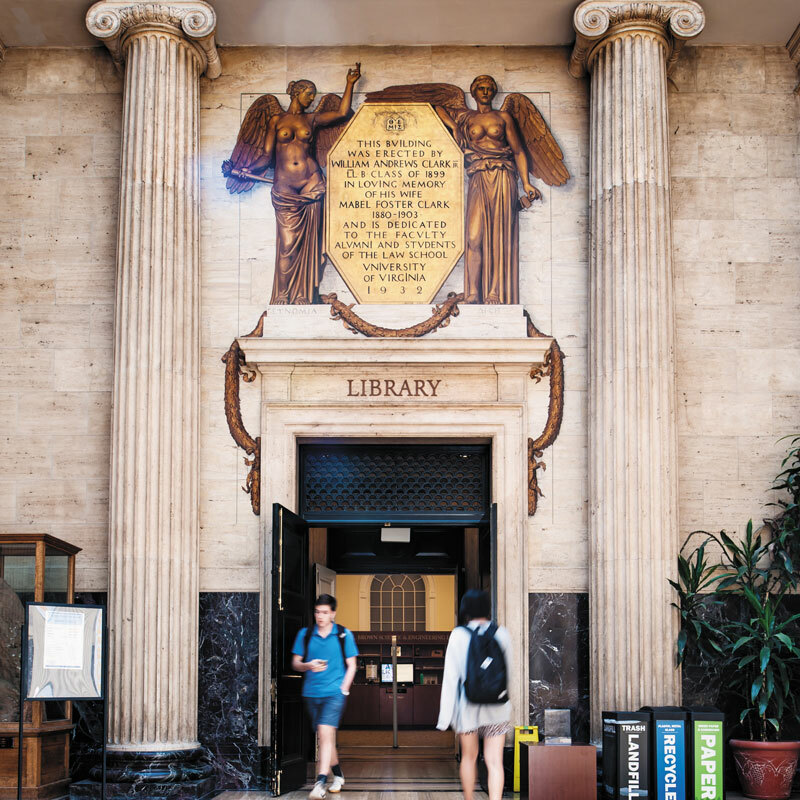 And perhaps the library system’s most ambitious goal is a proposed $160 million renovation of Alderman Library, to be funded by the state and through donations, and expected to last six to 10 years in phases so that the library is never closed to the public. The project is still in its planning stages; a study by the consulting firm Brightspot is currently underway. The firm is interviewing students and faculty about how best to use the library’s space and how many books need to be immediately accessible. It will be a year before Unsworth and his team will have the timetable and know other details. 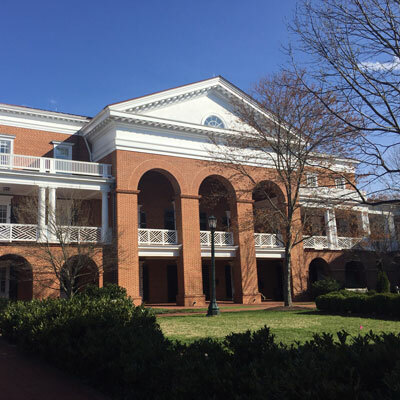 What will not change is the role libraries play in the UVA student experience and, especially for undergraduates, the importance of their physical place. In the 2016 library user survey of 650 undergraduate students, 73 percent said the library helps them study and work more efficiently. 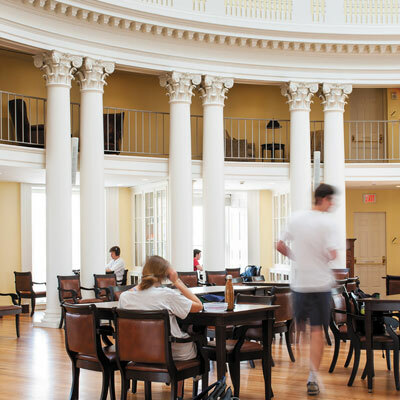 The newest space in the library system is, fittingly, the Dome Room of the restored Rotunda, where students can study, browse books by UVA-affiliated authors or cram for exams late into the night. 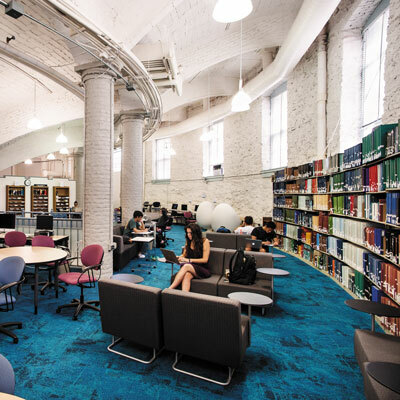 Take a look at the library spaces across Grounds—old, new and repurposed. No studying was harmed in the making of this photo essay. Daisy Xu (Col ’17) edits a video in the Robertson Media Center, located on the third floor of Clemons Library. 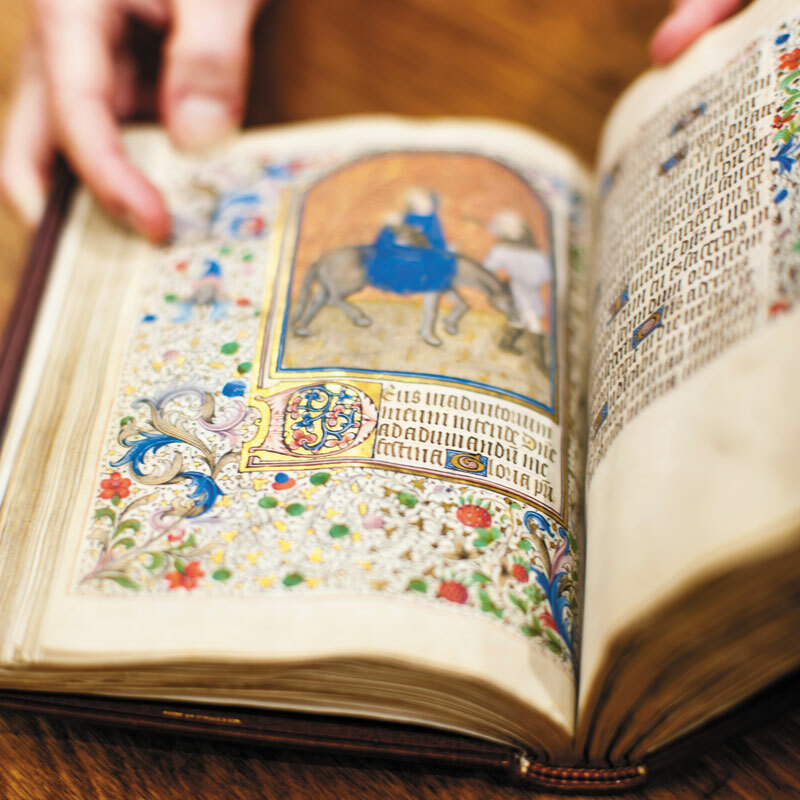 UVA’s Albert and Shirley Small Special Collections Library has millions of rare manuscripts, including the French Book of Hours, above, written in Northern France circa 1450. 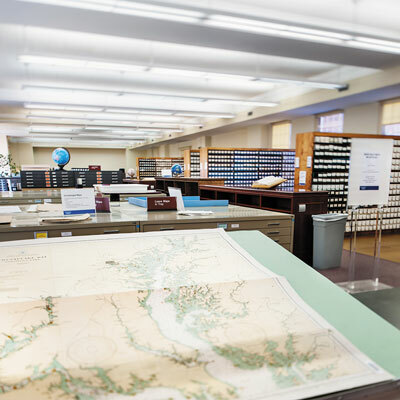 Alderman Library holds 357,275 microforms, primarily in the library’s third-floor East Reading Room. The Brown Science & Engineering Library in Clark Hall is a popular study spot for undergraduates. 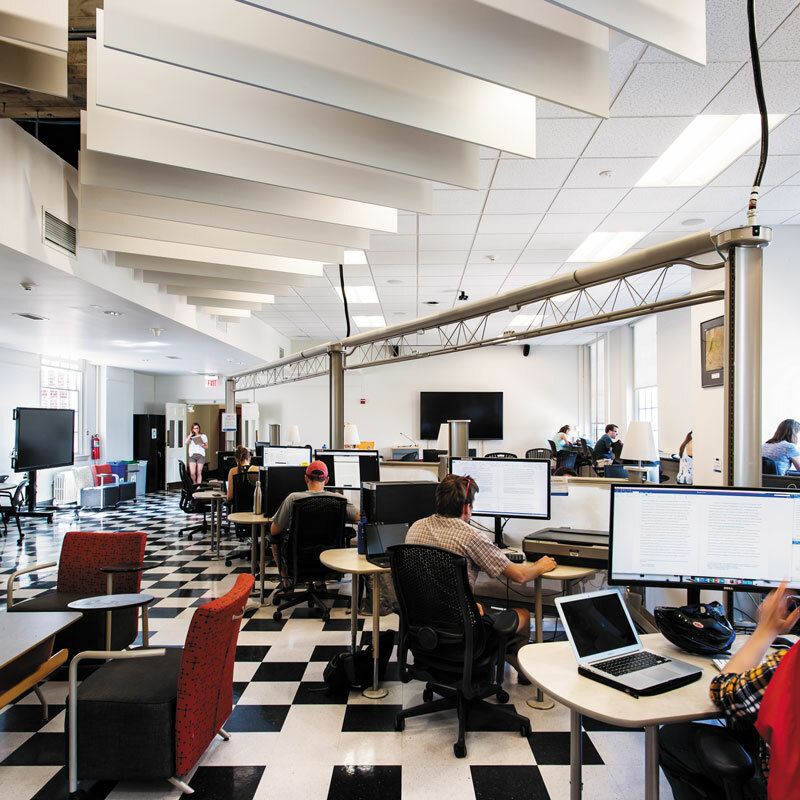 The UVA Scholars’ Lab in Alderman Library specializes in the digital humanities and trains students in programming, 3-D printing and online mapping. 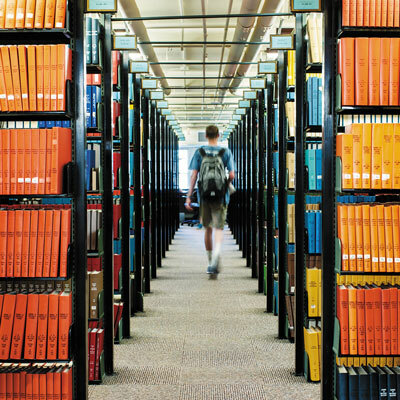 Beginning in 2001–02, downloads of e-journals surpassed print materials borrowed from UVA Library. Starting in 2010, e-book use surpassed print use as well, and these rates have generally continued to climb. Here’s an overview of the library’s changing circulation trends. A student studies in a carrel in the depths of Alderman Library’s New Stacks. The Music Library is housed in the basement of Old Cabell Hall, giving it its cylindrical shape. 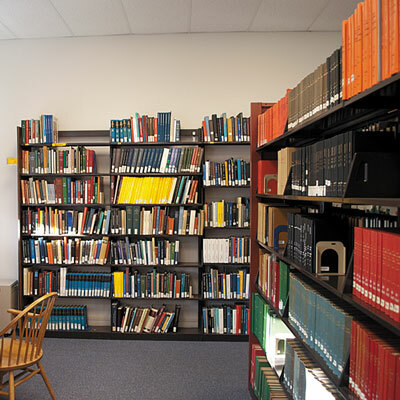 The Arthur J. Morris Law Library provides not only a place to study but also dozens of law databases and legal research guides for its students. 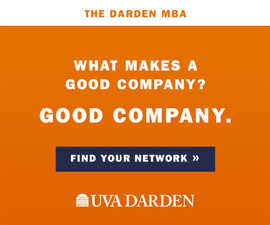 The Camp Library at Darden gives students access to 50 business databases and provides them workstations with wall monitors for group work. The smallest library on Grounds, located in Room 264 of the Astronomy building, the Astronomy Library is open by key access only. 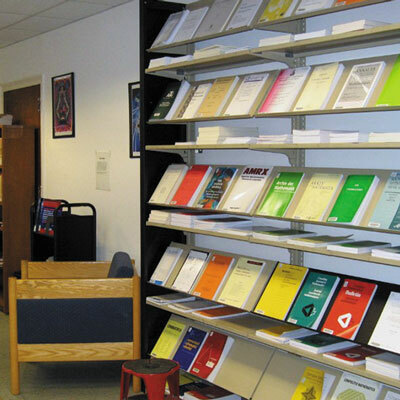 The Mathematics Library, located in Kerchof Hall, is used primarily by graduate students. 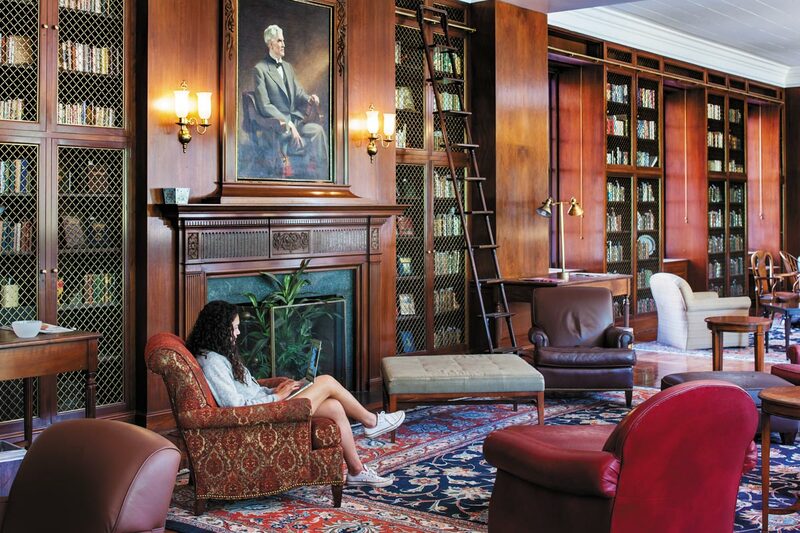 Many undergraduate students indicate in surveys that the Brown Science and Engineering Library in Clark Hall is their “primary library”; it now outpaces Clemons in gate counts by more than 200,000 annually. 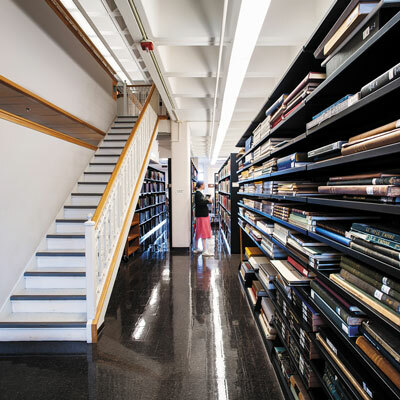 This high-density shelving facility on Ivy Road organizes its books by height rather than the Library of Congress classification, in order to save the most space. In addition to the rare books and artifacts counted below, the Albert and Shirley Small Special Collections Library holds 16 million manuscripts, including the papers of William Faulkner, now on exhibit on Grounds (see related story). 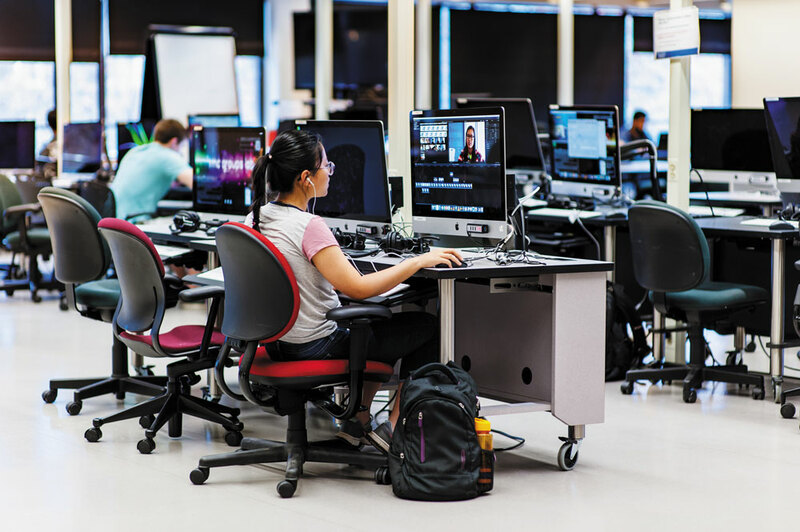 Clemons Library, open 24 hours a day, is a popular space for cramming at exam time; its Robertson Media Center is another big draw, offering spaces for animating, podcasting and film editing. Students can study in the Rotunda Dome Room and browse its collection of roughly 1,700 books. 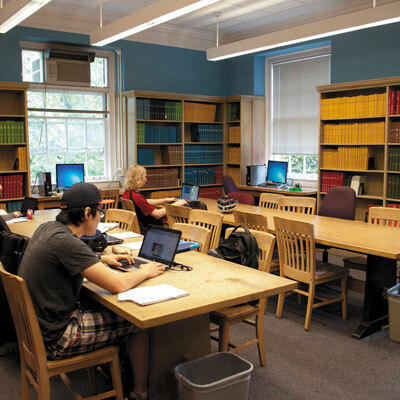 The Fiske Kimball Fine Arts Library, located in Campbell Hall, serves students studying architecture, art history and the fine arts, and features a digital lab for collaborative faculty research projects. 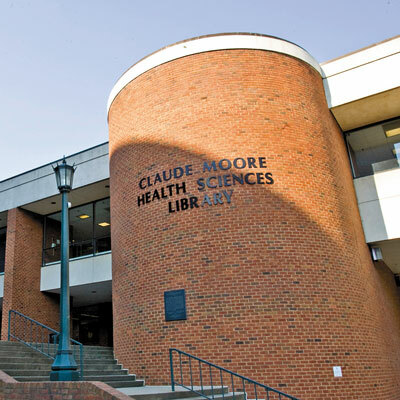 The Claude Moore Health Sciences Library, which stretches above Jefferson Park Avenue, serves students and faculty in the Schools of Medicine and Nursing. The only library on the Lawn, the Music Library offers more than 500,000 tracks of music in its online collection. 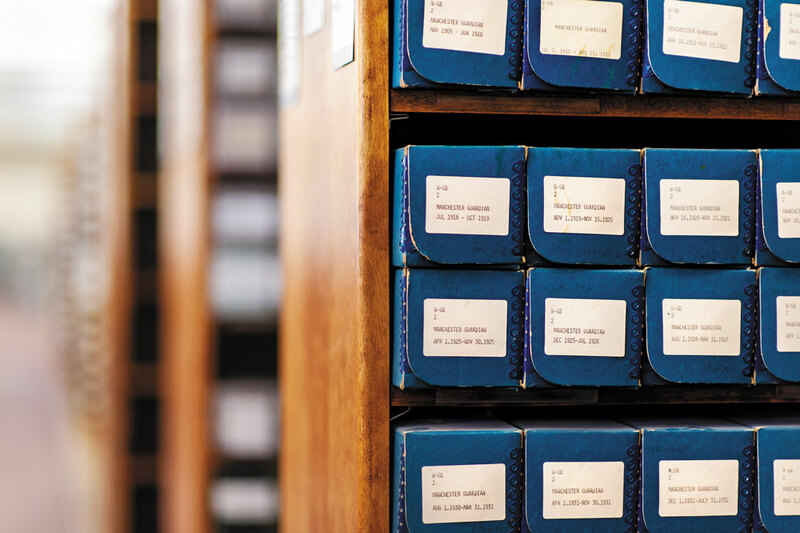 Notes: The collection size represents physical collections only: printed volumes in each library, as well as graphic materials, sound recordings, videos, maps and microforms. Some libraries do not count their visitors. All statistics from 2015–16. Molly Minturn is senior editor of Virginia Magazine.